Dark curly hair, long eyelashes, full lips and pinchable cheeks makes this black and white image of a toddler boy simply irresistible. 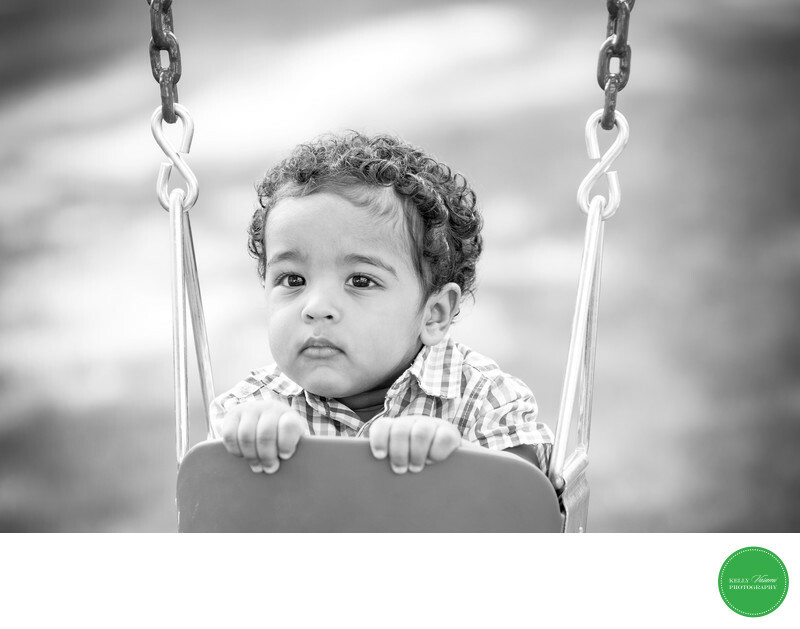 To commemorate his very first birthday, this image was captured in an environment where the little guy is very comfortable - in a swing at a local park. Every detail of the photo is super crisp and the background is blurred to enhance the foreground details. He is gazing longingly at mommy and positioned so that the natural light is captured in his eyes (also known as catchlights). The photo contrast is high, with the blacks being very dark and the whites very bright, adding a crisp punch to the timeless style of this photograph.